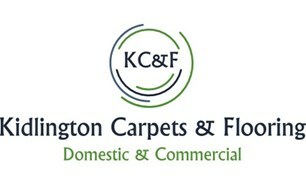 Kidlington Carpets & Flooring - Carpets/Flooring based in Yarnton, Oxfordshire. Kidlington Carpets and Flooring is a family run business with over 15 years experience, we pride ourselves on providing a personal, friendly and highly skilled service. We fit carpet, vinyl and laminate flooring and offer a variety of services to meet your needs. Delivery of carpet, vinyl and laminate samples to your door. All materials supplied and fitted. A fitting only service if you have already purchased your flooring. Old flooring removed and legally disposed of. Upon request we can move furniture prior to floor fitting. Advice service on the best and most appropriate floor covering for your property and budget. Please get in touch with us to discuss your individual needs, you can call us on 01865 590517 or 07917361570, email us at [email protected] You can even find us on Facebook and Instagram.